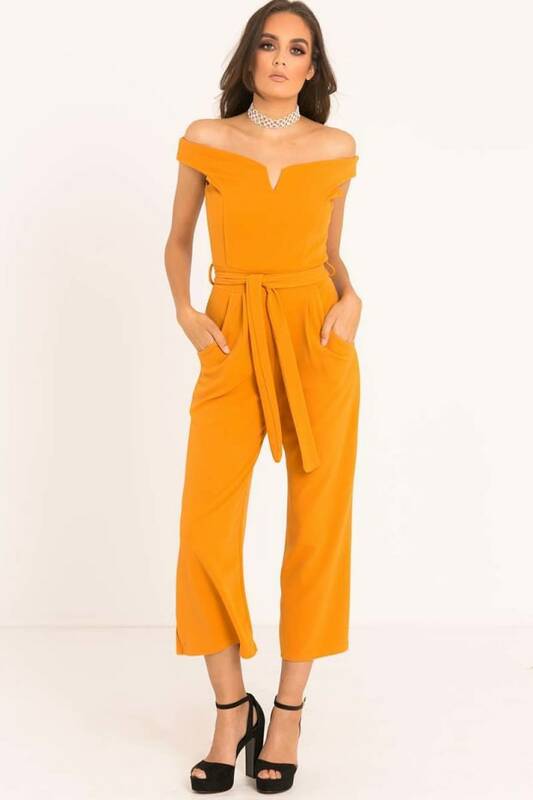 This gorgeous jumpsuit is a wardrobe must have! 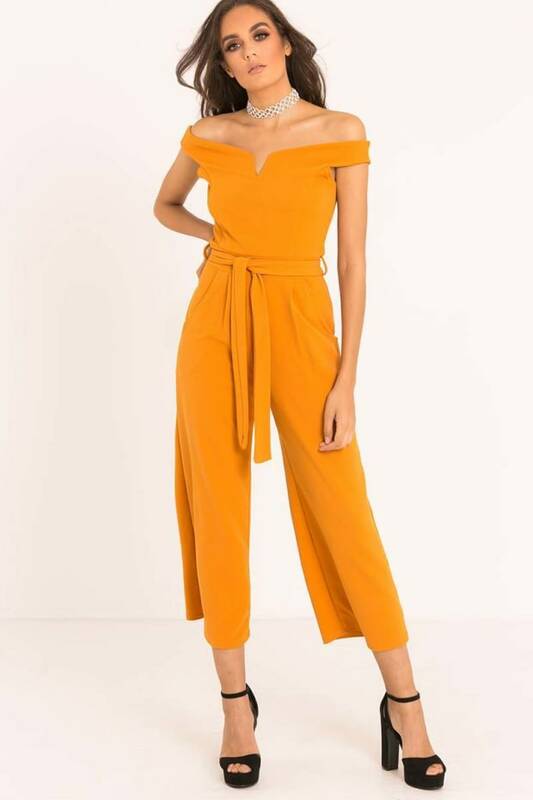 Perfect for your next occasion, this beaut piece features a bardot neckline, belt tie waist and bang on trend culotte leg design that is guaranteed to make heads turn this season! 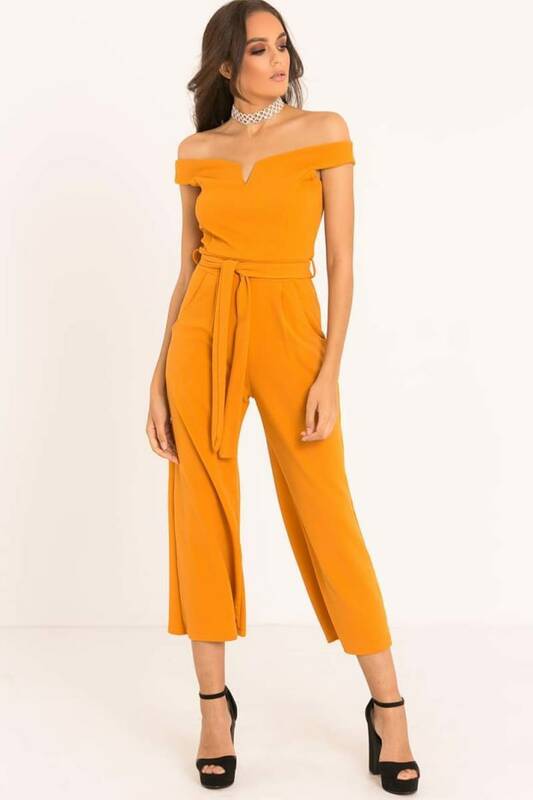 Dress to impress with some strappy heels and statement choker for a flawless occasion ready style!